Unless you've been marooned on a desert island for the past two decades, you are probably aware that ASTM/SEI certified riding helmets can help prevent head injuries. Nevertheless, many equestrians choose not to wear helmets, for a variety of reasons, mostly related to tradition, fashion and comfort. As a result, we receive a lot of questions about helmet-related liability. Should I Require Everyone to Wear a Helmet While Riding? The short answer: Only if you are capable of, and willing to, enforce your helmets-required policy. Riding lesson programs and guided trail rides are typically able to enforce helmet policies because all riding is supervised and many programs even provide helmets for their customers. In contrast, boarding stable personnel are not always present when boarders and their guests are riding. If a facility has a helmets-required policy and doesn't consistently enforce it, that situation could create the basis for a negligence claim, i.e., the failure to enforce a safety rule contributed to an accident. If you aren't confident that you'll be able to ensure compliance with your helmet policy, and/or you don't want to be a policeman, you may be better off having a "helmets highly recommended" policy rather than a "helmets required" policy. That advises riders that you recommend wearing safety helmets, but leaves it up to the individual whether they choose to take the protective measure of actually wearing a helmet. One exception may be riders who are under 18, who may not be of sufficient age and experience to fully understand the risks of not wearing a helmet. Regardless of whether you have a "helmets required" or "helmets recommended" policy, you should also have a liability release that spells out the dangers associated with not wearing a helmet. Such a release can provide the basis for an "assumption of the risk" defense to a negligence lawsuit if the injured party signed a statement saying they understood the increased risks of injury associated with not wearing a helmet and they agreed to accept those risks. 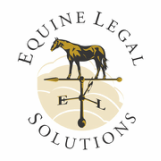 Equine Legal Solutions' liability release forms include a helmet waiver clause.